Ainslie McMahon, ‘Panorama #1’, 2018. Acrylic paint on stretched canvas. Courtesy: the artist and Rockhampton Art Gallery, Rockhampton. 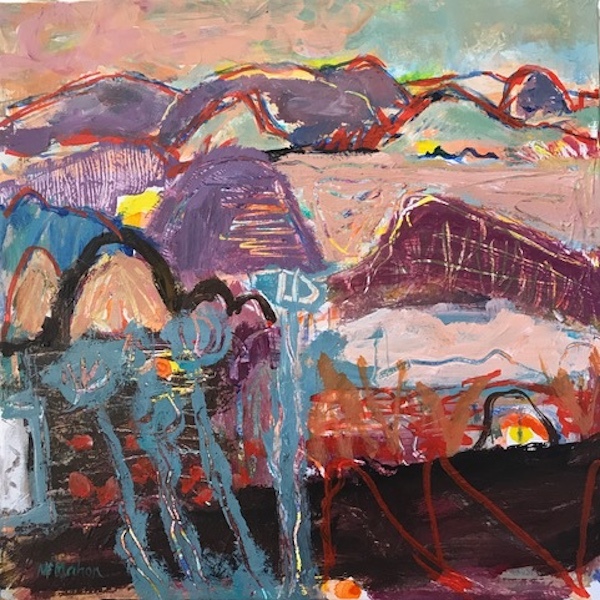 A search for place through the embrace of personal landscapes is the over-riding preoccupation and ongoing inspiration for artist Ainslie McMahon’s latest body of work ‘Panorama: landscape wonders hidden in plain sight’. McMahon is a visual artist based in rural Rockhampton. Winner of The Overall Rio Tinto Martin Hanson Memorial Art Award for 2018, Ainslie further explores elements of landscape abstraction in a continuation of her $15,000 prize-winning painting, Drought in the Lucky Country. Through methodical mark making and lovingly etched layers, McMahon’s landscapes seek out the authentic and the anchor that finding your place delivers.